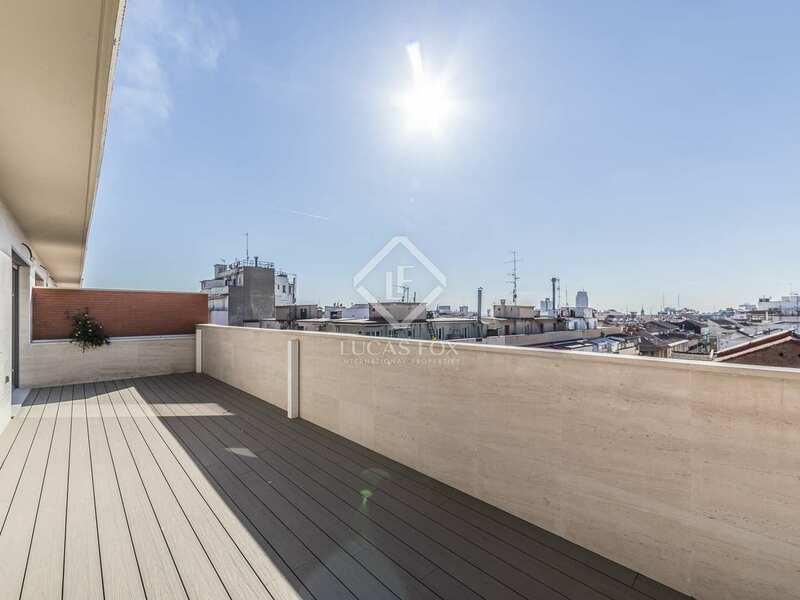 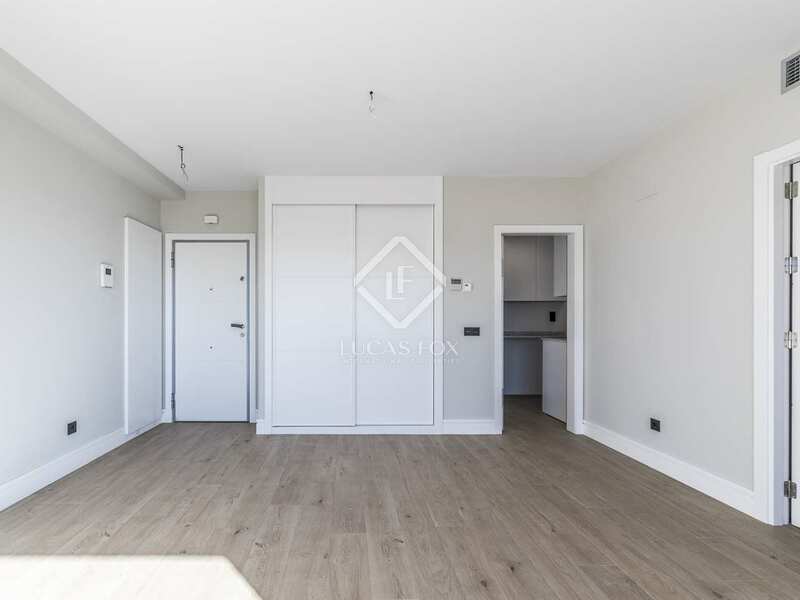 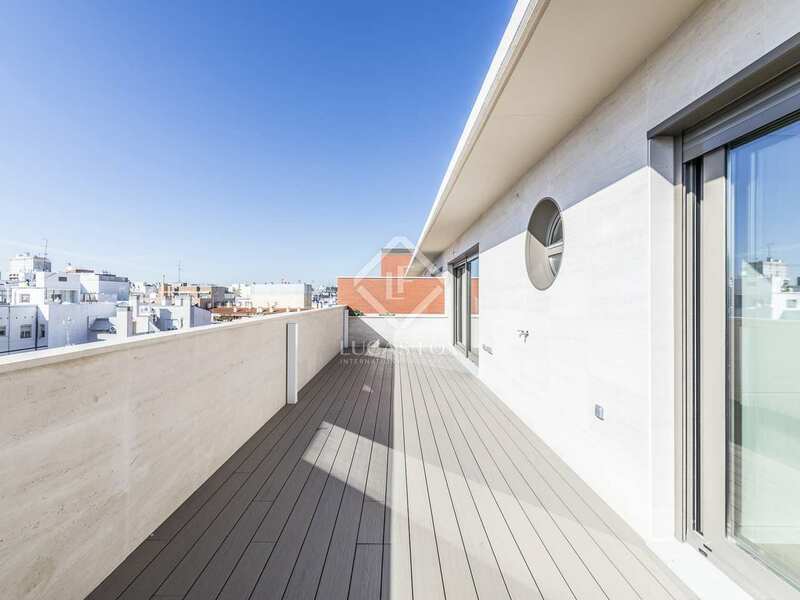 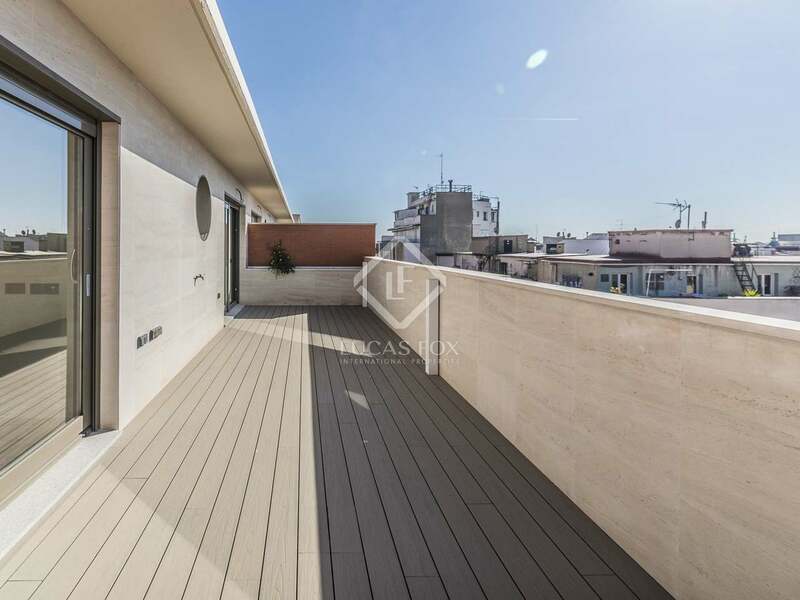 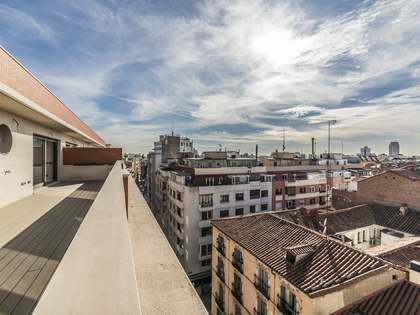 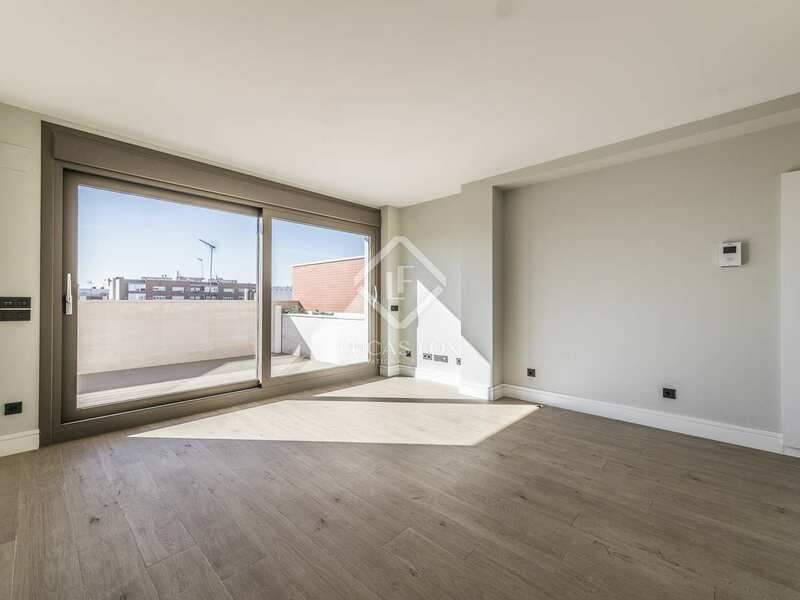 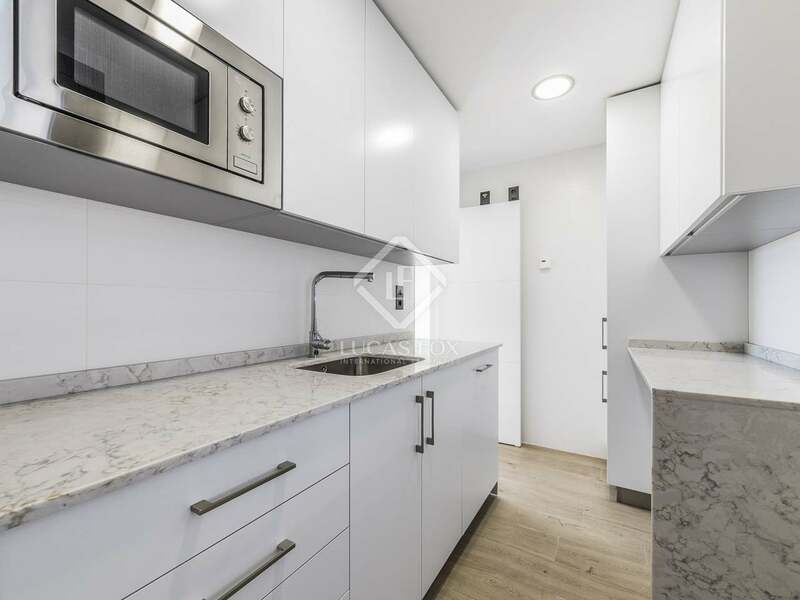 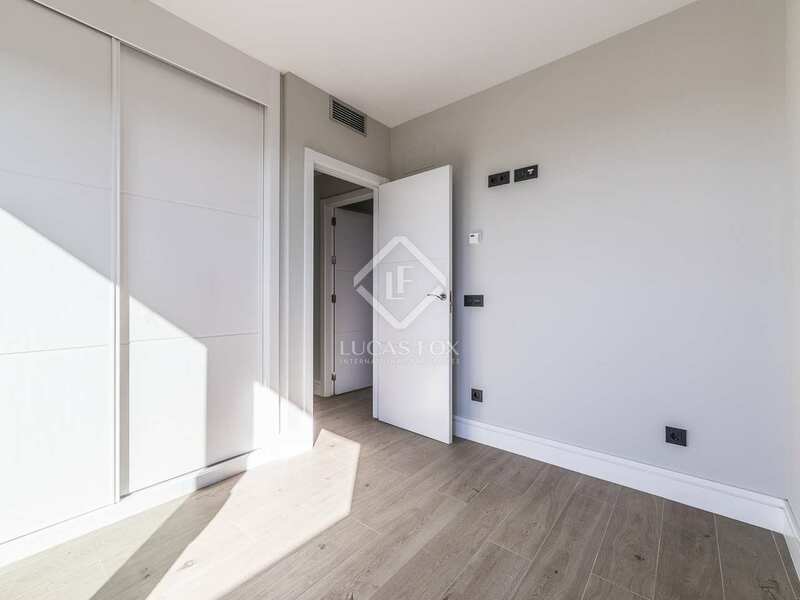 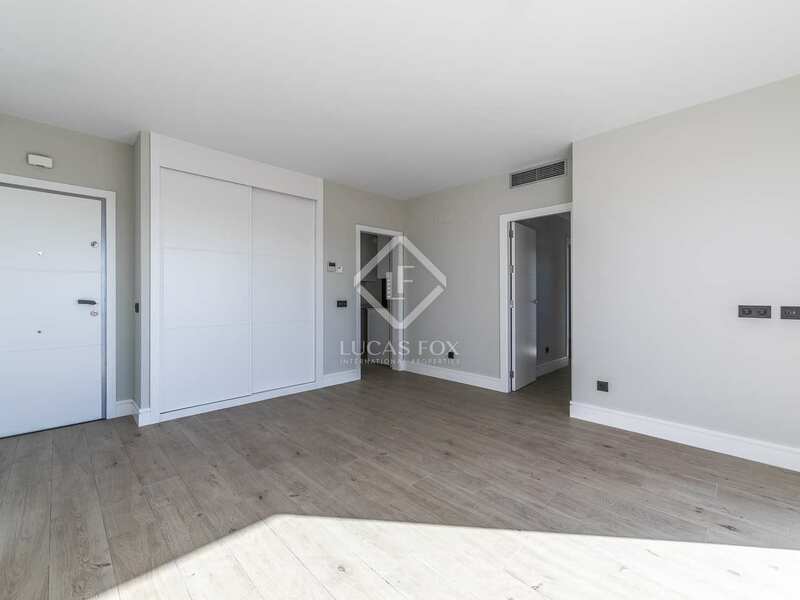 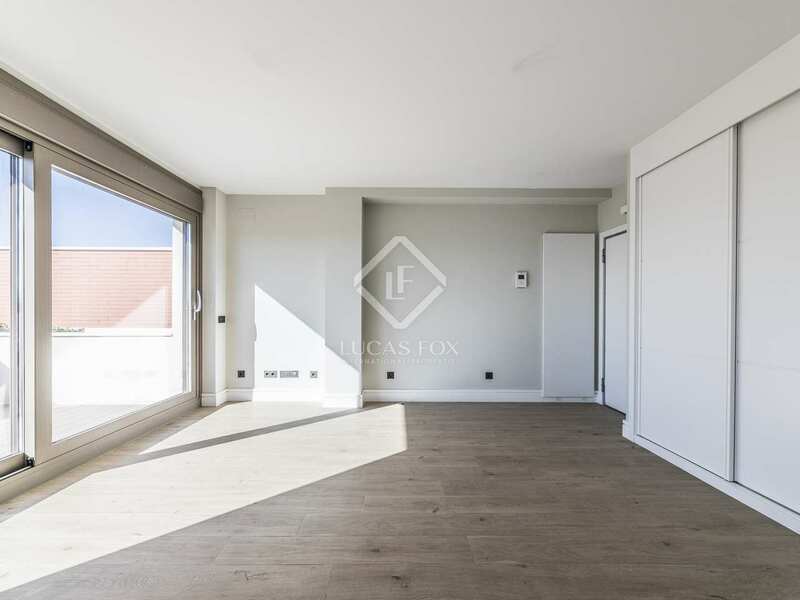 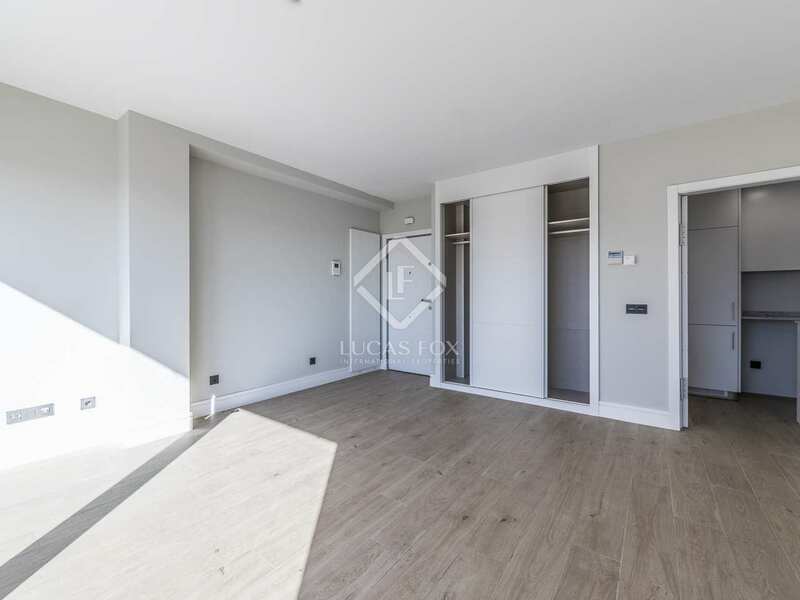 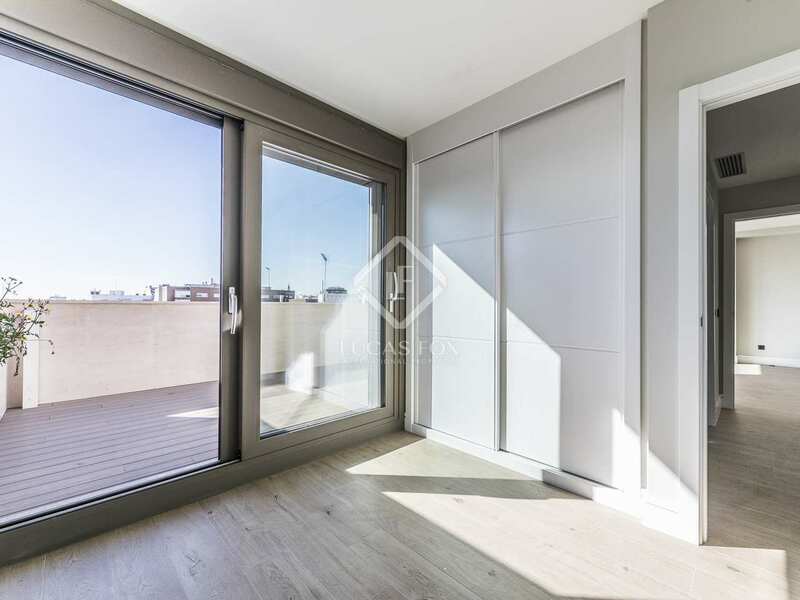 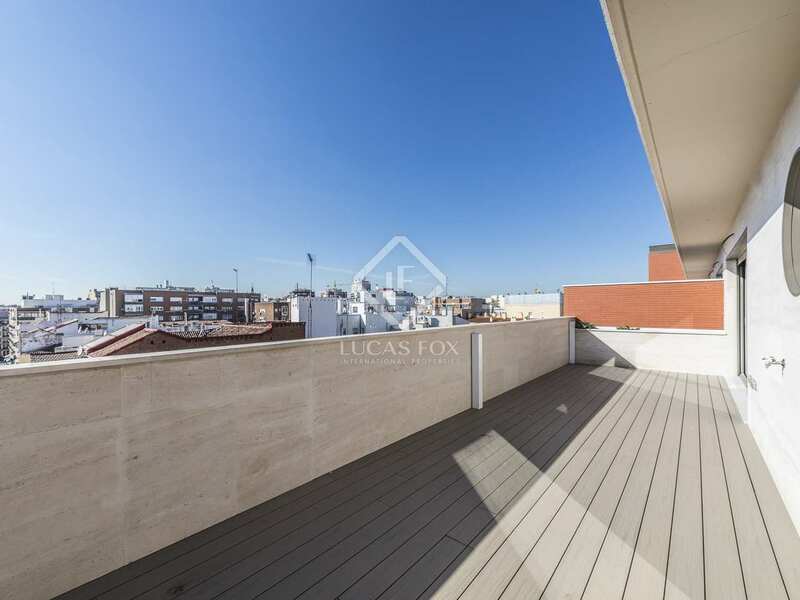 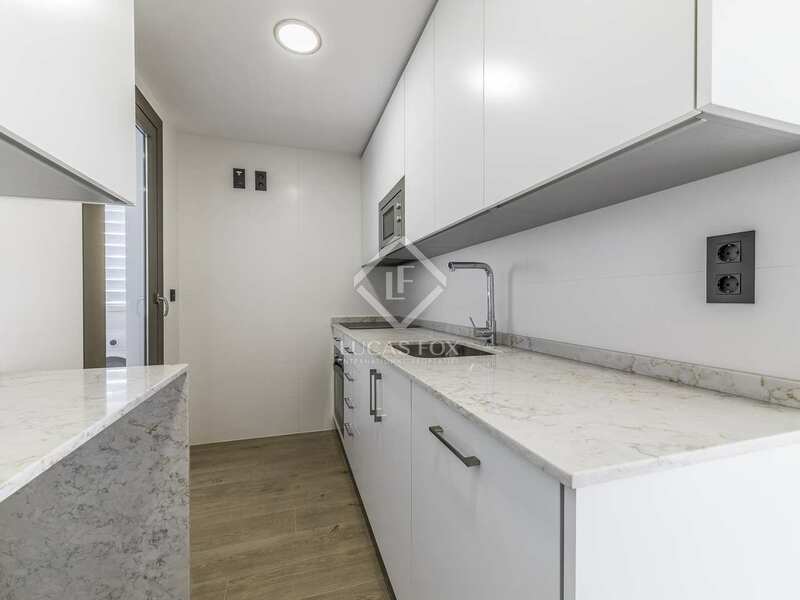 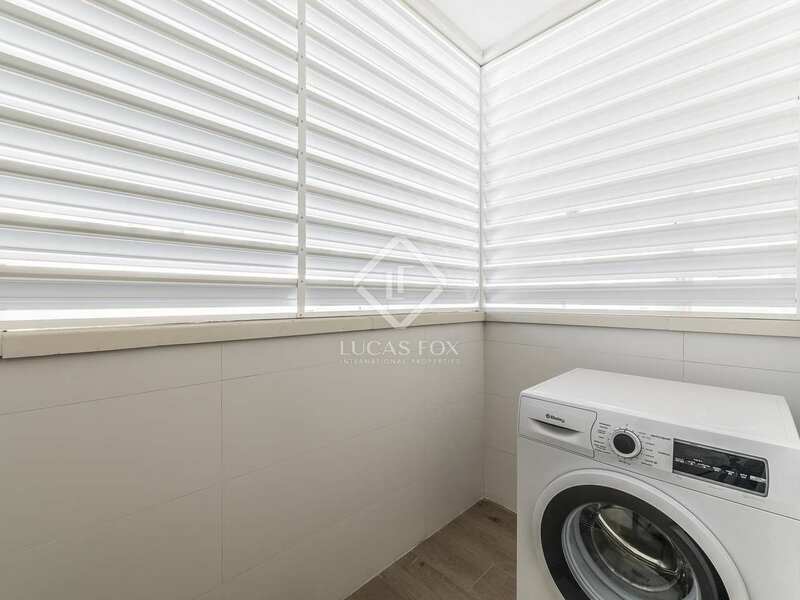 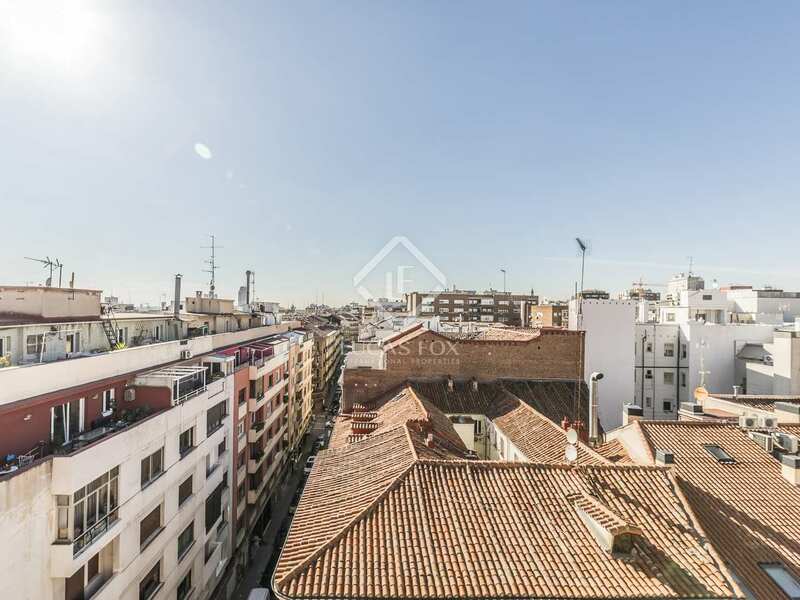 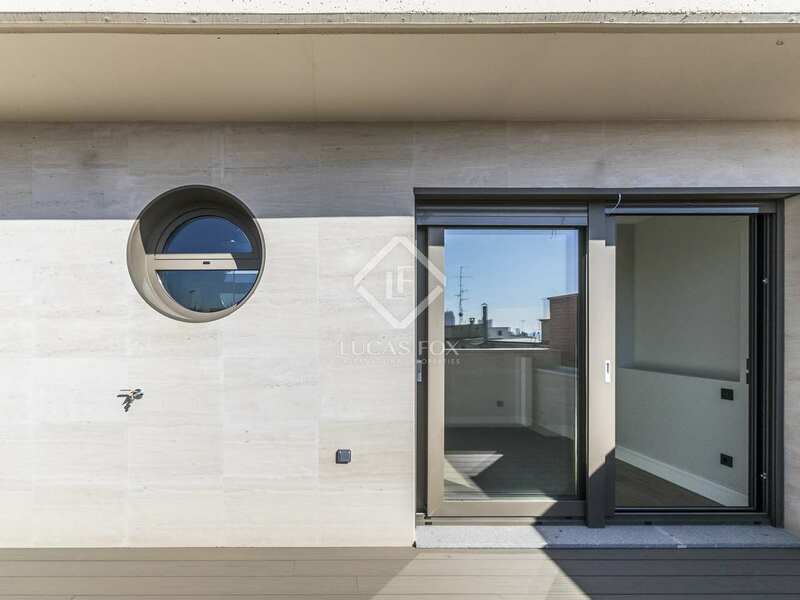 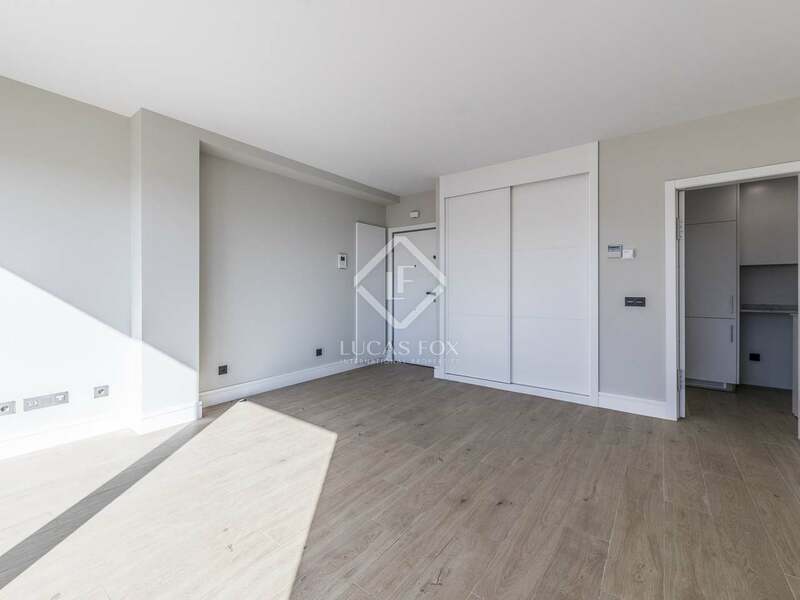 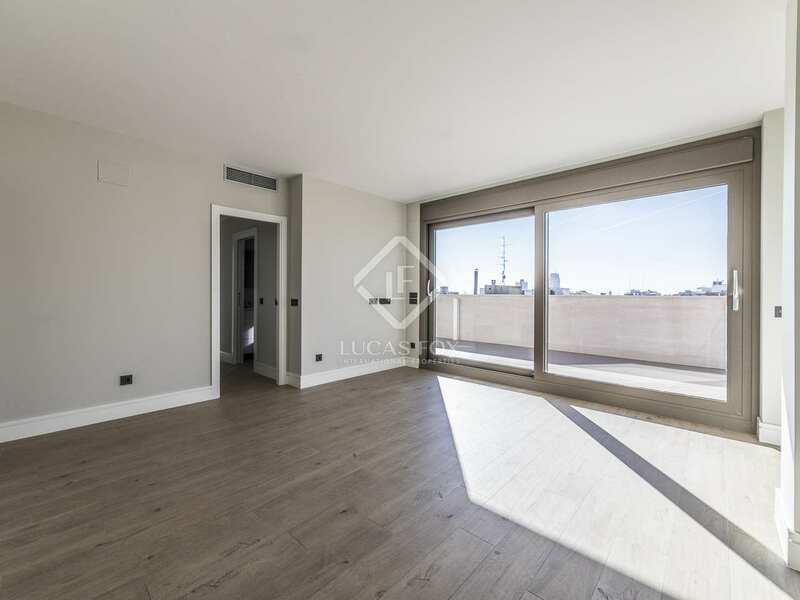 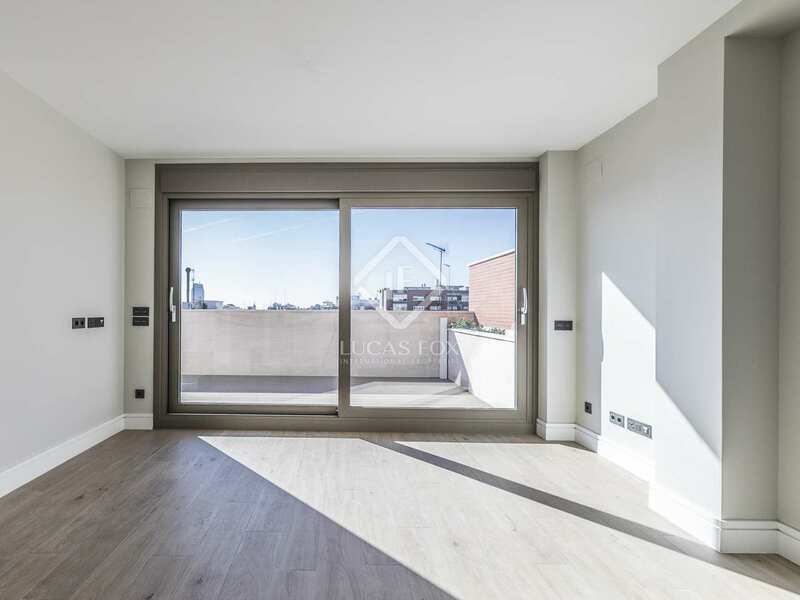 Wonderful 2-bedroom penthouse with a terrace overlooking the city and enjoying abundant natural light, in Trafalgar, an exclusive neighbourhood of Madrid. 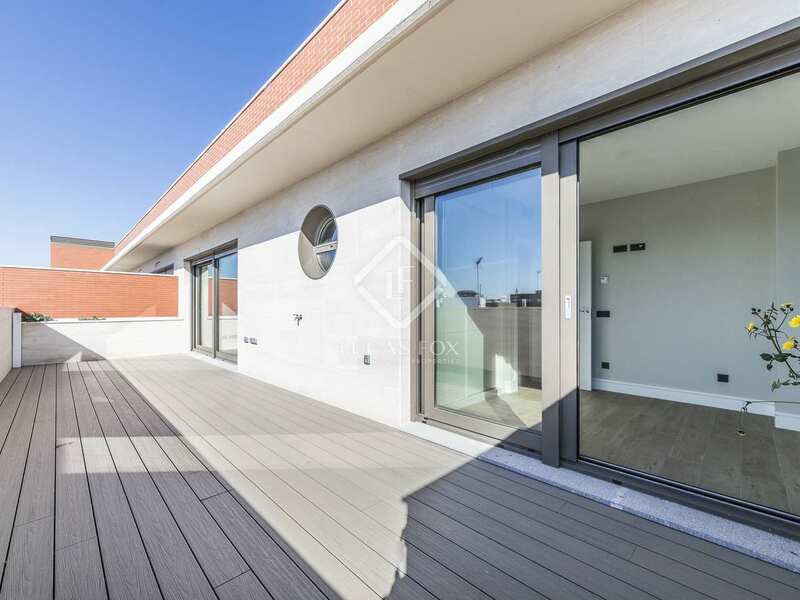 This splendid penthouse boasts large, bright rooms thanks to its windows and a wonderful terrace that offers beautiful views of the city, overlooking the rooftops of the emblematic buildings in the Trafalgar neighbourhood. 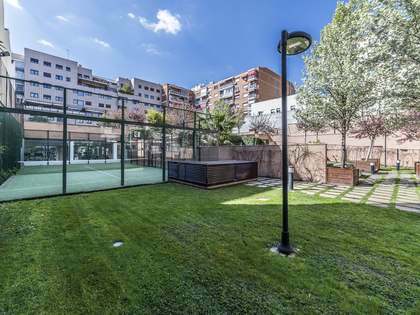 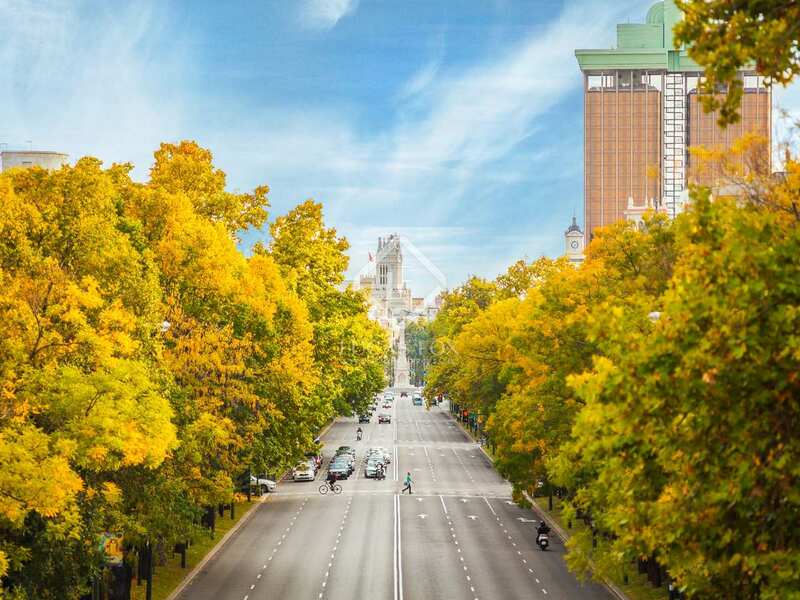 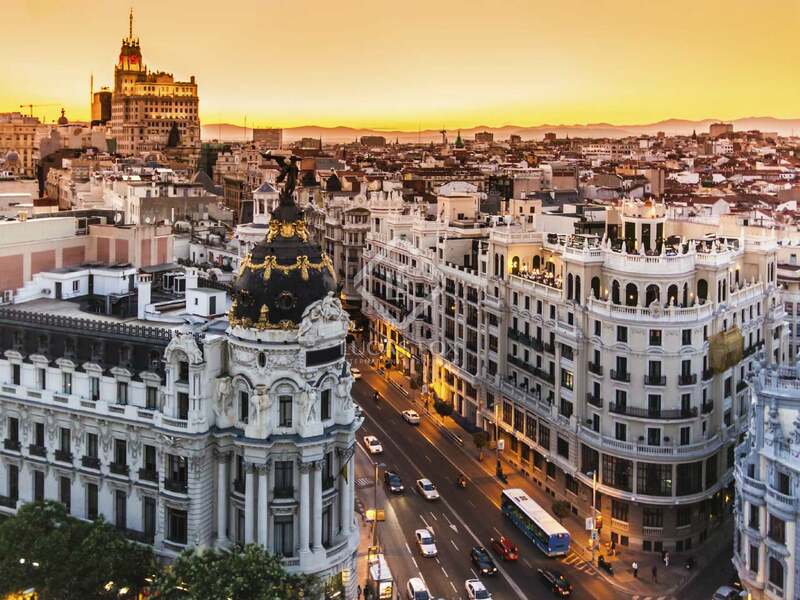 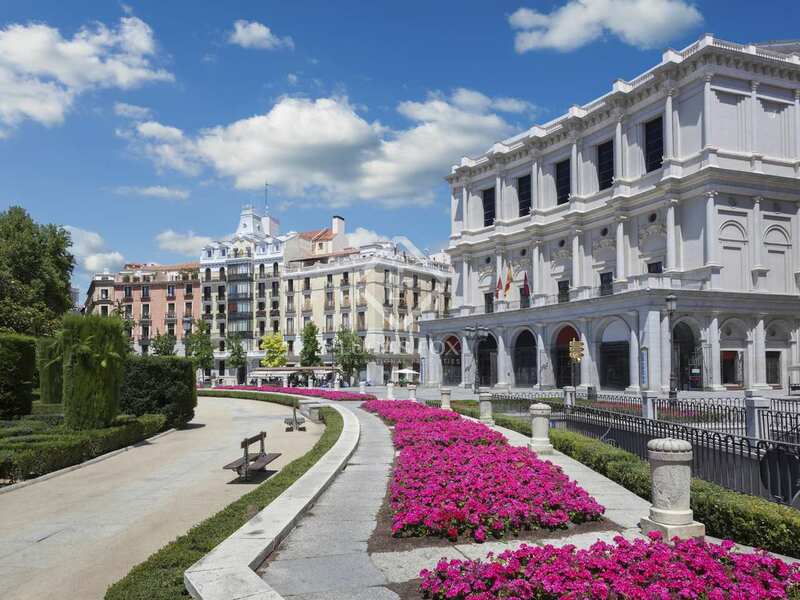 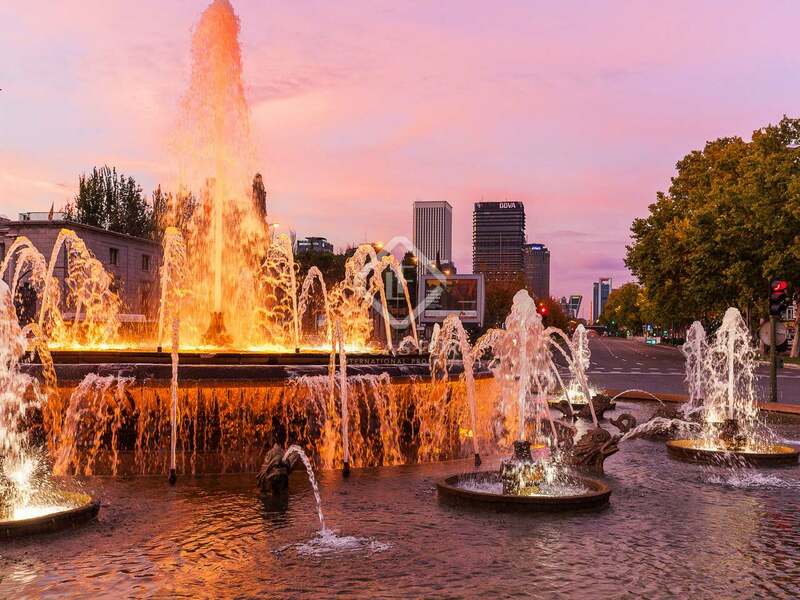 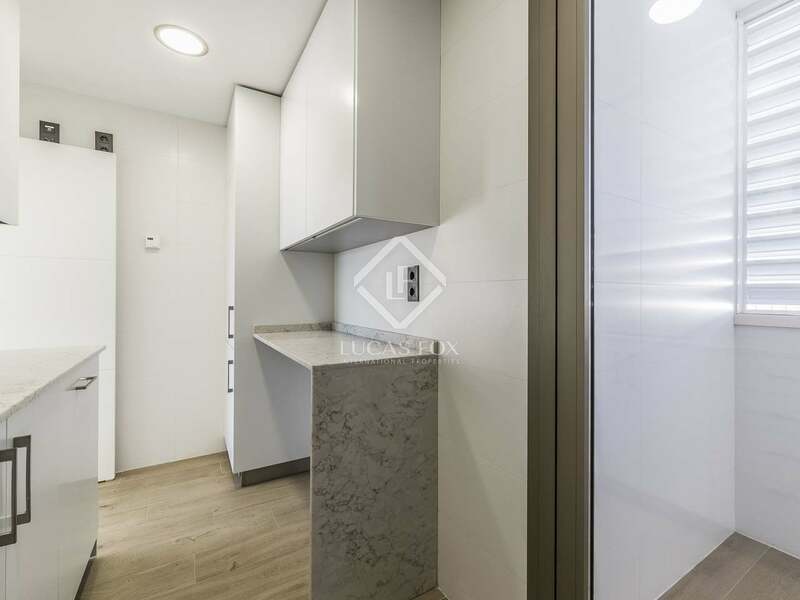 It is located in a building with a lift, concierge service and garage in one of the most privileged neighbourhoods of Madrid. 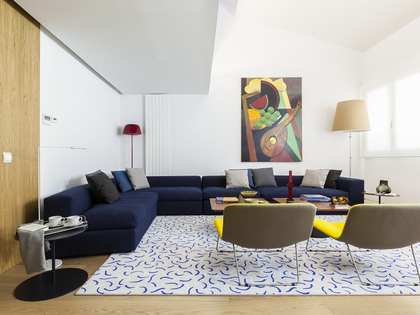 Upon entering, we are welcomed by a small hallway that leads to a spacious living-dining room. 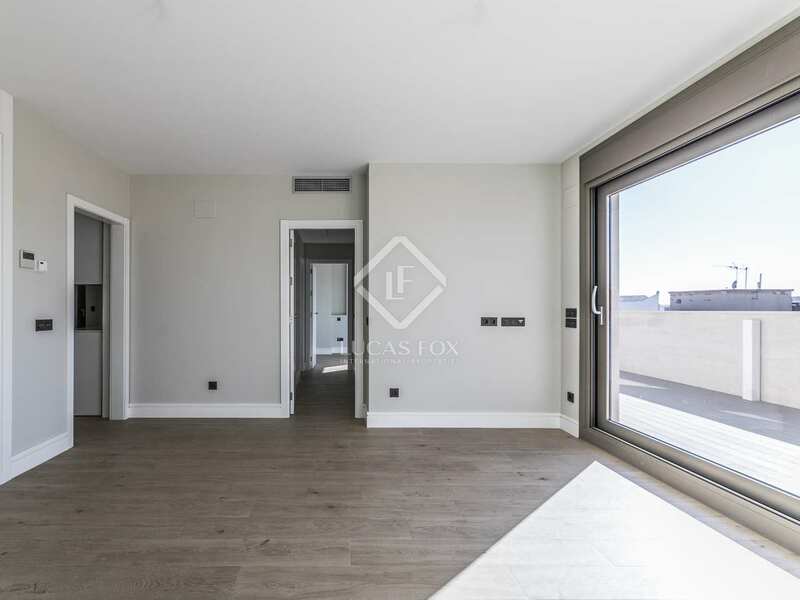 This room enjoys abundant natural light thanks to its many windows which lead out to the terrace; the ideal place for a table and chairs and to enjoy breakfast in the fresh air or a drink after a long day. 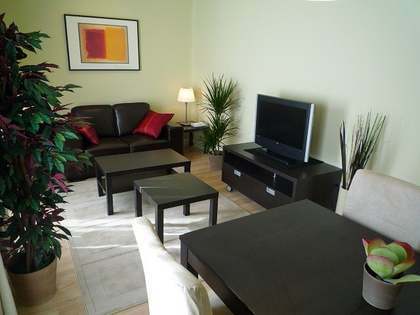 The dining room has 2 doors: the fully equipped kitchen is on the left and benefits from a separate laundry room. 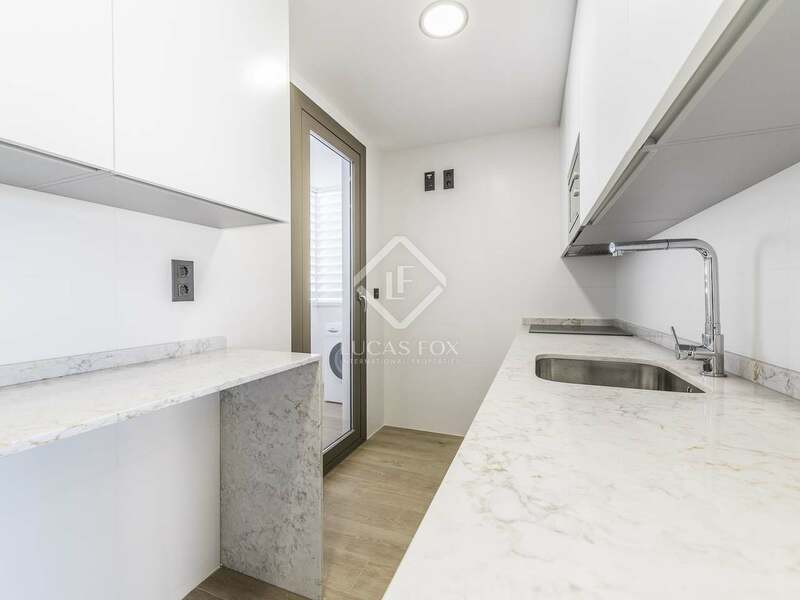 The other door is the one that gives way to the night area. 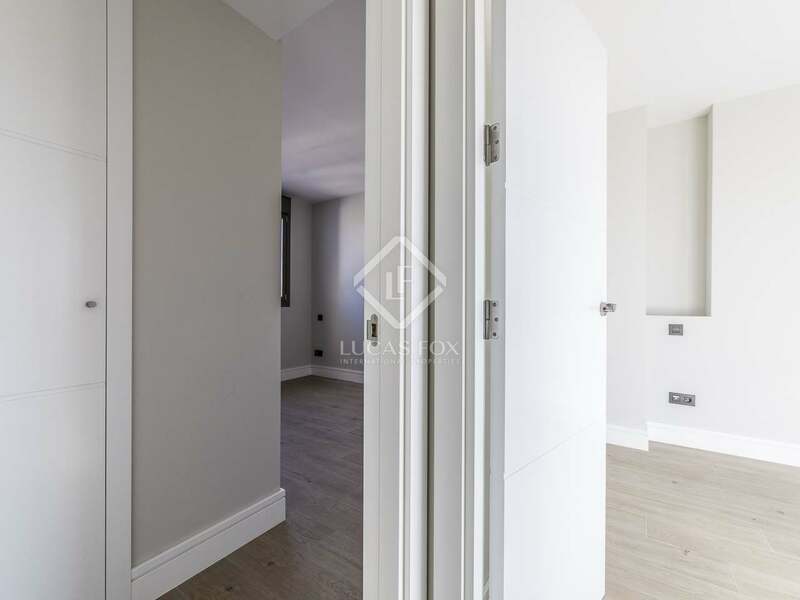 A corridor leads us to the bedrooms. 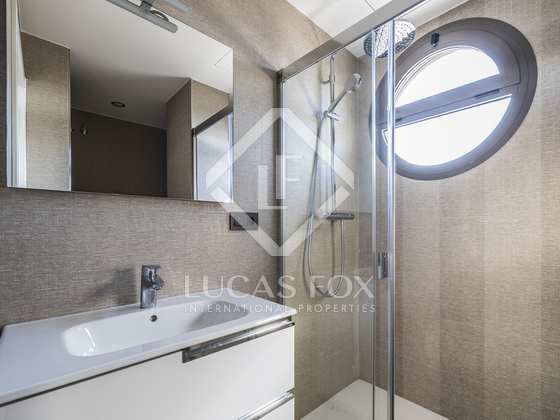 Opening the first door on the right, we find a complete, very spacious bathroom. 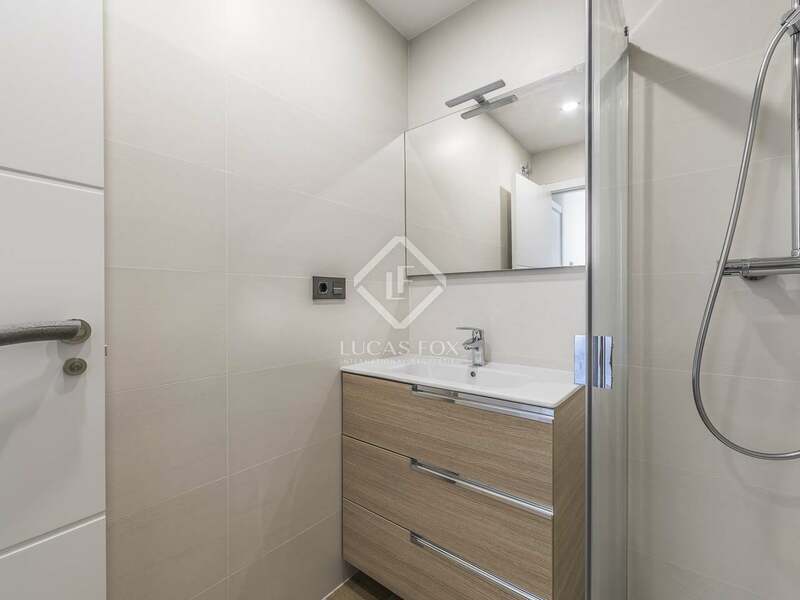 The second door, located on the left, offers the master bedroom which is very comfortable and has a private bathroom with a shower. At the end of the corridor is the second bedroom with access to the terrace. 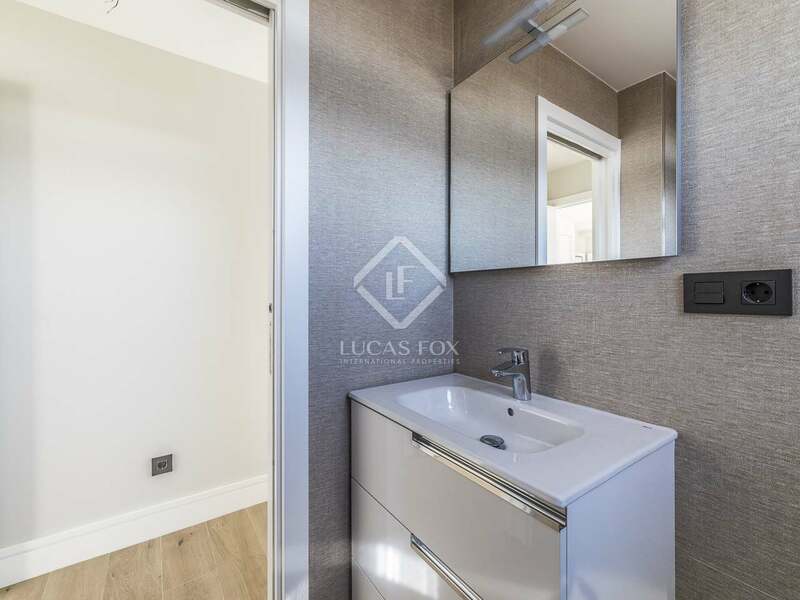 The property has wooden floors and is equipped with air conditioning, underfloor heating and double glazed windows to ensure your comfort at any time of the year. 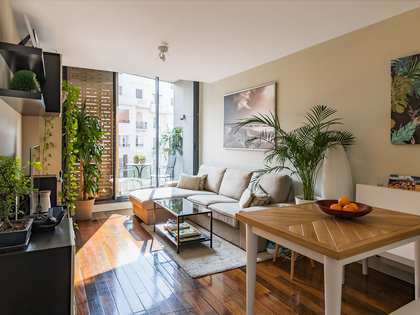 Contact us to visit this wonderful apartment in Trafalgar. 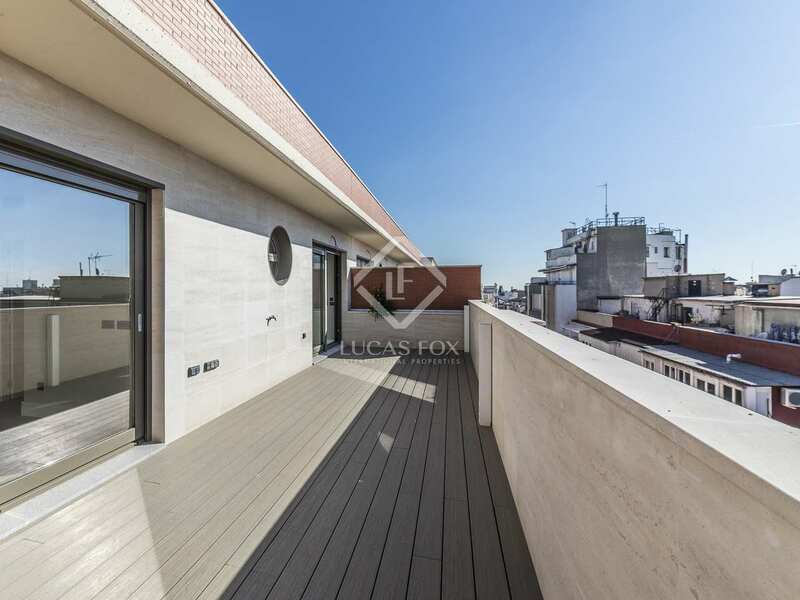 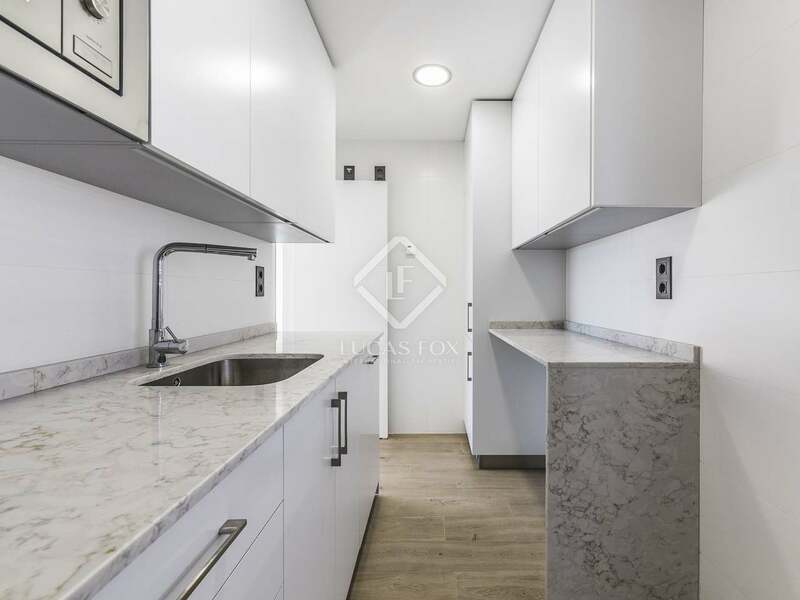 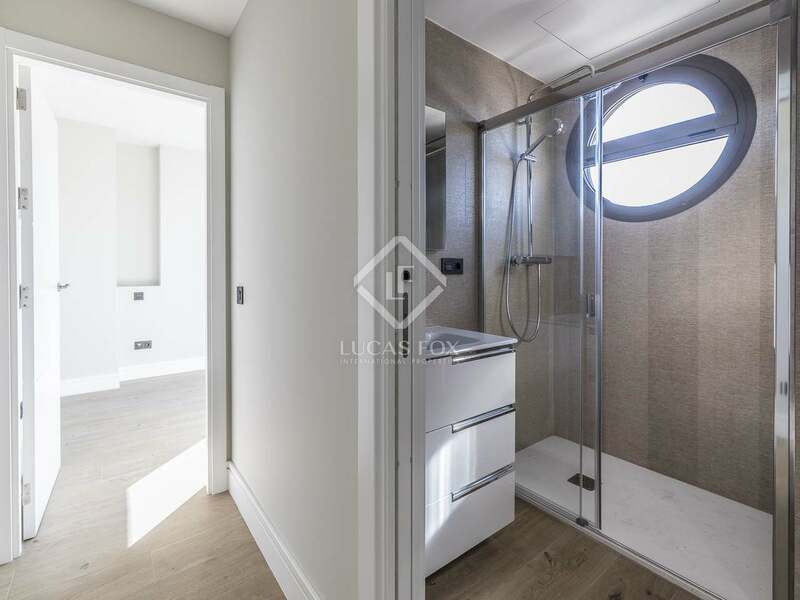 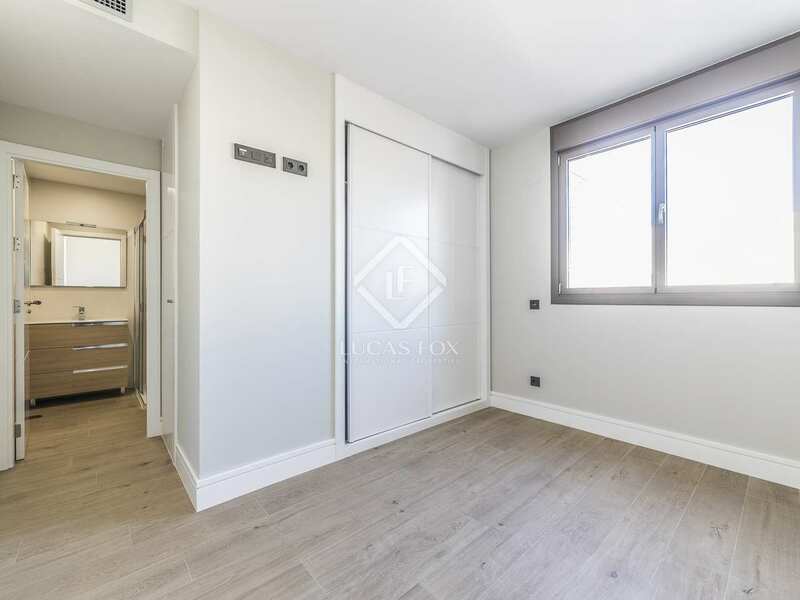 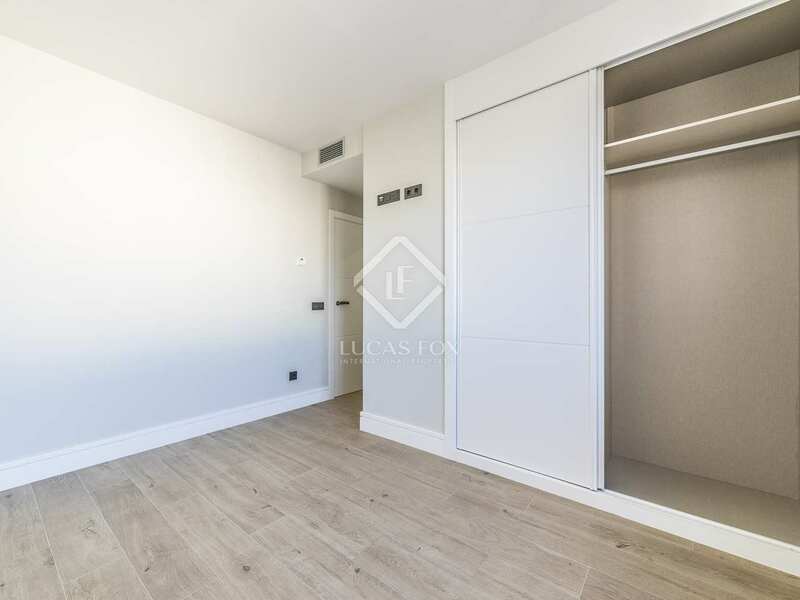 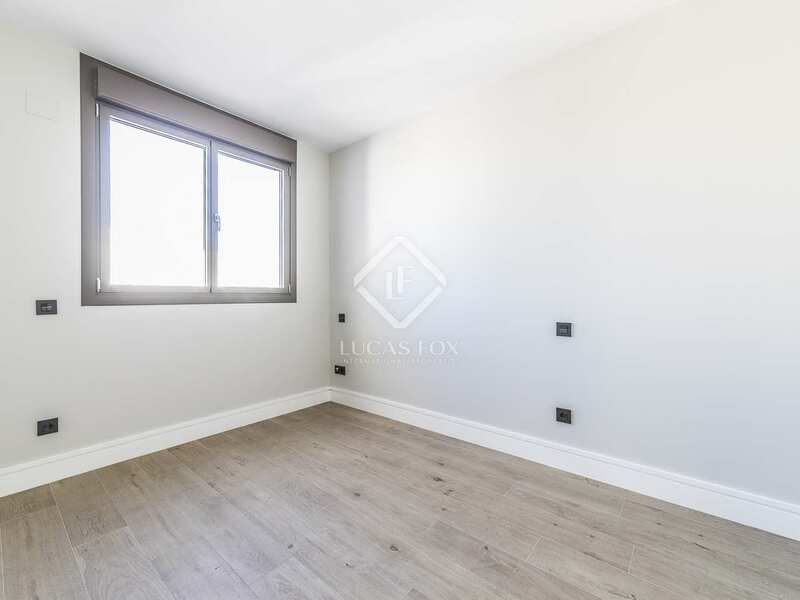 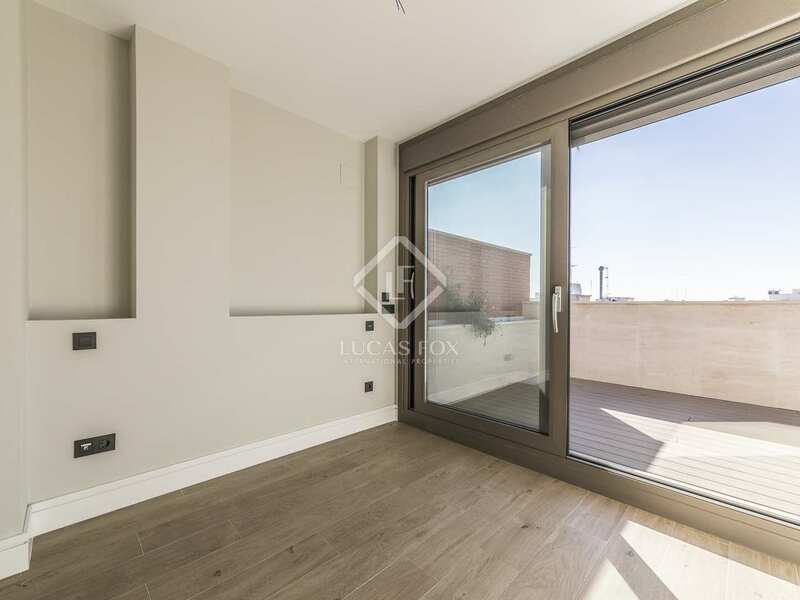 This penthouse enjoys an enviable location in the splendid neighbourhood of Trafalgar, an area that has all of the necessary services for daily life as well as excellent restaurants and bars, terraces where you can enjoy the best Madrilenian gastronomy in the sun, fashionable leisure venues, etc. 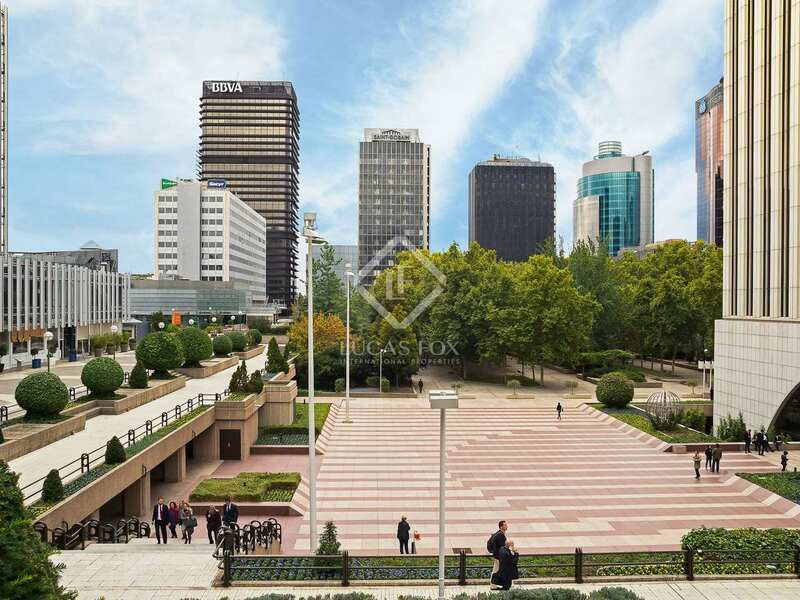 What's more, the area has a very good public transport network, providing easy access to the main places of interest in the city.